Welcome to our official website. 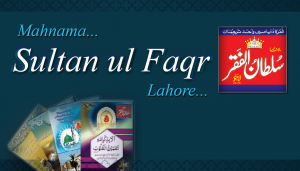 Tehreek Dawat-e-Faqr is the only representative of the teachings of Faqr. 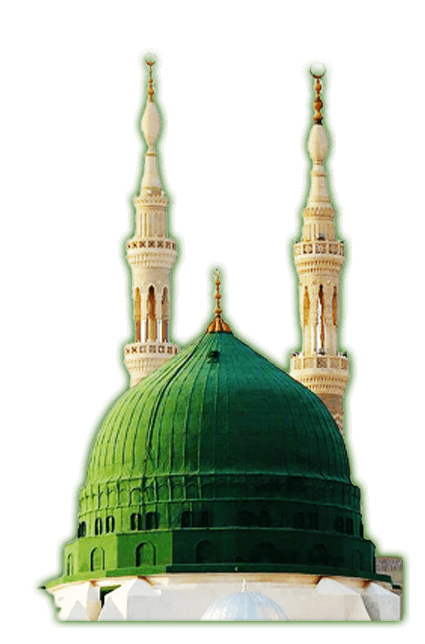 Faqr is the true esoteric heritage of the Prophet, therefore, it is the soul of Islam. Our aim is the revival of a strong spiritual relationship between Allah and Muslims. 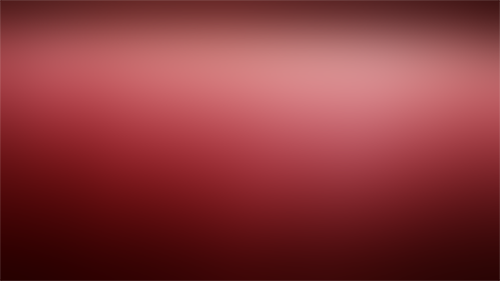 Deteriorated spiritual relations have resulted in the decline of Muslims despite the fact it is the best umma. 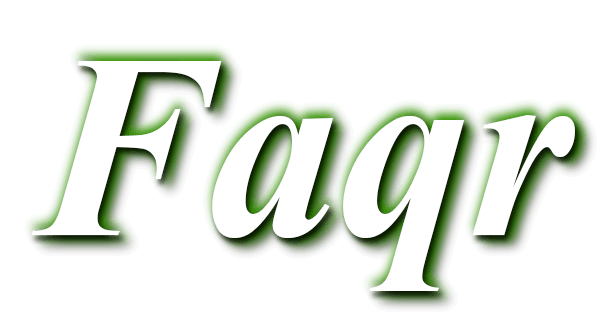 With the teachings of Faqr, we aim at redirecting Muslims from physical devotions of pretence to sanctification of soul. Thus making physical devotions acceptable in the court of Allah. 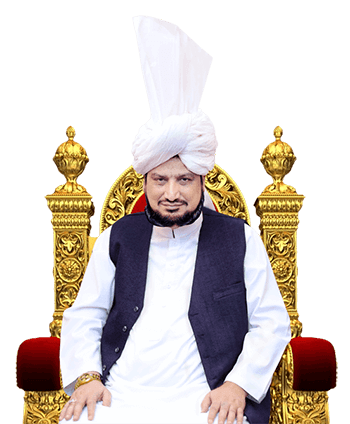 We promote the school of thought of our Sufi Saints, al-Ghawth al-Azam Shaikh Abdul Qadir Jilani and Sultan-ul-Arifeen Sultan Bahoo. According to them, prosperous society is not achievable without esoteric purification of each of its members. Only esoterically sanctified Muslims are believers. Moreover, Allah has pledged in the Quran to help believers but not the Muslims. Thus, believers are successful in this world and the hereafter. Therefore, we invite the Mohammadan umma towards spiritual purification so that they achieve success in both the worlds. 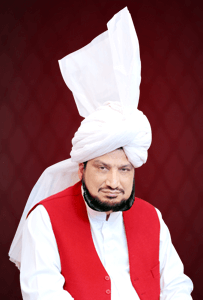 Sarwari Qadri order like any other originates from the Prophet and reaches the umma (nation) through Ali ibn Abi Talib. Ali ibn Abi Talib transferred cloak of succession to Shaikh Hasan of Basra. This chain spiritually passed to many great Saints in a continuous manner, consequently reached Shaikh Abdul Qadir Jilani. 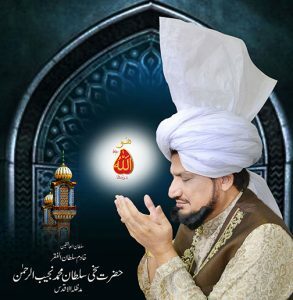 From where it reached Sultan Bahoo, presently Sultan Mohammad Najib-ur-Rehman is its spiritual guide. Sultan-ul-Faqr VI Sultan Mohammad Asghar Ali blessed him with succession. 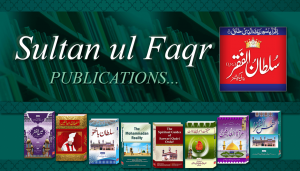 The invitation towards Faqr is a movement, which is present in different forms since the age of the Holy Prophet. 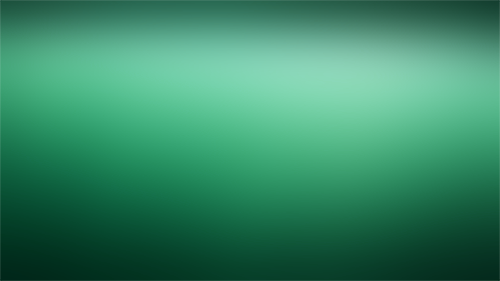 In this contemporary era, there was a dire need of an organization according to emerging challenges for invitation. 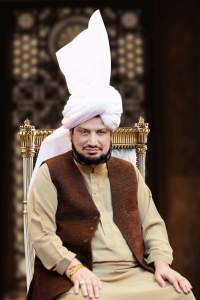 Therefore, Sultan-ul-Ashiqeen Sultan Mohammad Najib-ur-Rehman laid the foundation of Tehreek Dawat-e-Faqr. The date of its foundation is 23rd October, 2009 (3rd Dhul al-Qadah, 1430 H). That is the death anniversary of his spiritual guide Sultan-ul-Faqr VI Sultan Mohammad Asghar Ali on Friday. It is a registered organization, completely non-political and non-governmental. Furthermore, it is non-sectarian. 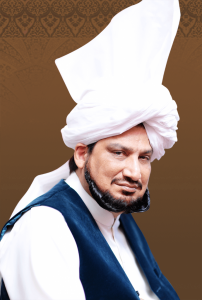 Sultan-ul-Ashiqeen Sultan Mohammad Najib-ur-Rehman is the founder of Tehreek Dawat-e-Faqr. 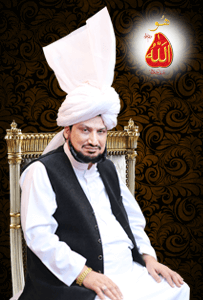 He is the 31st Shaikh, Murshid and spiritual guide of the Sarwari Qadri chain. 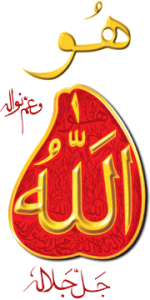 Just like Allah, His name Allah, that is, Ism-e-Allah Zaat is also unique and unparalleled regarding its marvels. The distinguished quality is that even separating its letter gradually its meanings remain same. 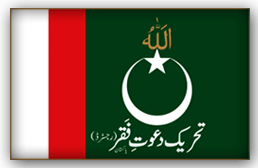 Yet in any case, after separation, it remains the Ism-e-Allah Zaat. It four stages are: Allahoo, Lillah, LaHoo and Hoo ( اَللّٰہُ لِلّٰہُ لَہُ ھُو ). Sultan Mohammad Najib-ur-Rehman gives its last stage for invocation called the sultan of invocations i.e. 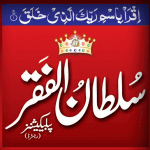 Hoo (Sultan-ul-Azkar). 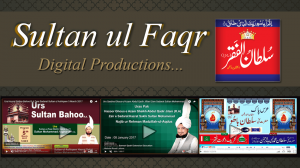 He has made great efforts and taken revolutionary steps to spread the wealth of Faqr among common Muslims. 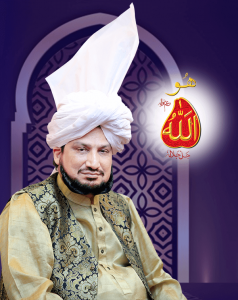 In addition, Allah has blessed him with such great spiritual powers. Therefore, he gives his disciples the invocation of sultan of invocation i.e. ‘Hoo’ ( ھُو ) at the first day of oath of allegiance. He also gives them gold plated Ism-e-Allah Zaat for contemplation.